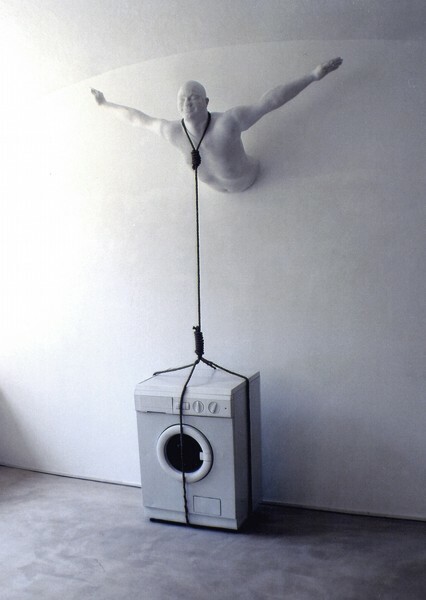 (…) Something comparable happens in Mi dispiace di morire (ma son contento) (I’m sorry to die [but I’m happy]), in which a cast of his bust emerging from the wall is hung by the neck from a washing machine during the spin cycle. 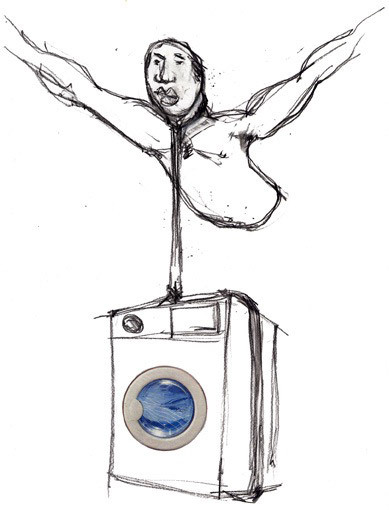 An homage to Ettore Petrolini (in the title), by also to the Klein of Le saut dans le vide, this parody of suicide evokes in a symbolic way not so much the chronicles of accidents in the home, as the negative tensions hidden between the domestic walls, a metaphor for the tension that accumulate inside us. But can a suicide be ironic? 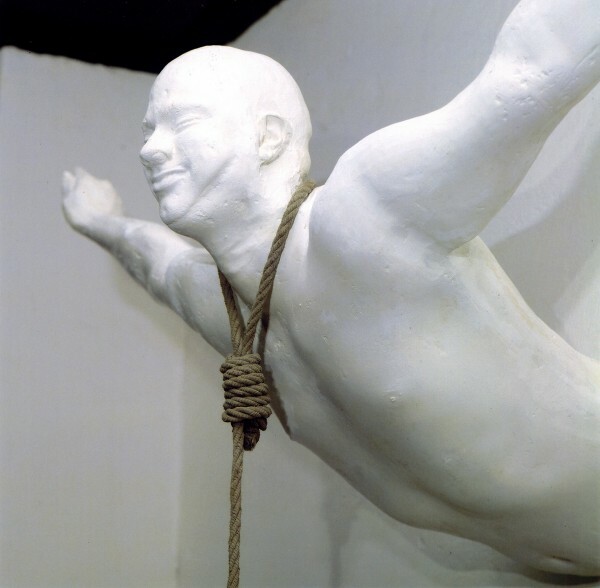 And, above all, isn’t the staging of one’s suicide something that goes beyond the individual sphere?